Paris terror attack mastermind Abdelhamid Abaaoud. Abdelhamid Abaaoud, the suspected architect of the Paris attacks, was killed in a police raid early Wednesday morning. Before his death, the 27-year-old managed to convince several people to join ISIS — including his 13-year-old brother — and take part in several terror plots in France and Belgium. Here’s a rundown of what we know about him — and all the facts that authorities are still hazy and unsettled about. Abaaoud lived on Future Street in Molenbeek, a small, predominantly Muslim neighborhood in Belgium with many Moroccan residents, which has recently acquired the unflattering nickname “jihadi capital of Europe.” At least three of the Paris attackers also called Molenbeek home at one point. Abaaoud’s father, Omar — who moved to Belgium from Morocco about 40 years ago — owned a clothing store, and the young Abaaoud, who loved soccer, had the chance to go to one of the best schools in Brussels, the Catholic-run Collège Saint-Pierre d’Uccle. However, he only went there for a year, according to the New York Times, and soon started to hang out with a group of friends that often got in trouble. Two of his friends were Ibrahim and Salah Abdeslam. Ibrahim blew himself up at the Comptoir Voltaire café; Salah is the target of a massive manhunt. 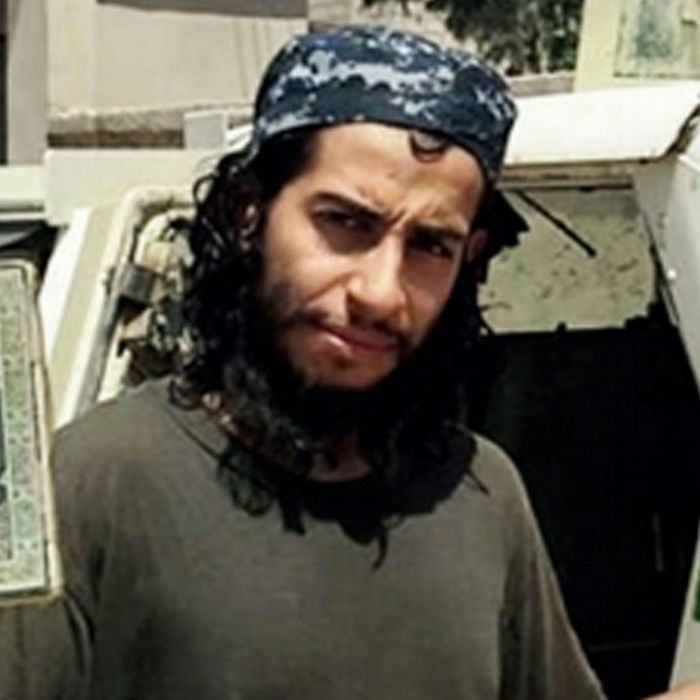 Some of Abaaoud’s schoolmates do not have fond memories of him. One told a local newspaper, according to AFP, that he was “a little jerk” who bullied students and harassed teachers. Abaaoud was first arrested for theft in 2006. In December 2010, Abaaoud and Ibrahim Abdeslam were sent to prison after they tried to break into a parking garage. Omar Abaaoud believes that his son was radicalized there. The pair were released a month later. Der Spiegel reported on Thursday that Abaaoud also appeared to have visited Germany in January 2014. German authorities notified Belgium about his whereabouts, but he was able to fly to Turkey undeterred. Abaaoud also had a social-media connection to Spain; he was reportedly trying to contact women there to convince them to move to Syria and “repopulate” the caliphate. His parents left Belgium and returned to Morocco, where Abaaoud was born. In July 2015, Abaaoud was sentenced to 20 years in prison by a court in Belgium for recruiting terrorists. The accused obviously never appeared to defend himself and was tried in absentia. Recently, Abaaoud, who also went by Abu Umar al-Belgiki, or Umar the Belgian, turned his focus from recruiting to planning attacks in Europe. Officials believe he helped put together the attack on the Jewish Museum of Belgium in May, a shooting that killed four people. This Thursday, French authorities said they believed that Abaaoud was linked to four of the six terror plots that were foiled since this spring — including the train attack stopped by five passengers who tackled the shooter (also from Molenbeek) and another attack in Paris this April that ended after the alleged almost-shooter accidentally shot himself in the leg. A month earlier, Belgian authorities conducted a massive series of raids in Verviers, targeting a group that was “about to carry out major terrorist attacks in Belgium imminently.” A few weeks before that, the authorities tracked a call from Abaaoud — who was in touch with those targeted in the raid — to someone in prison in Belgium who later died in the Verviers raid. The phone call came from Athens, and officials say Abaaoud was giving instructions to his friends in Belgium. As the Journal puts it, “European authorities now faced a troubling reality, one official said: “Islamic State operatives had little difficulty in piercing Europe’s borders.” After that raid — and Abaaoud’s subsequent bragging about how he outwitted European counterterrorism efforts — the authorities were very aware of Abaaoud’s existence. Where in the world was Abdelhamid? In the wake of the Verviers raid, Abaaoud somehow made it back to Syria. It probably wasn’t terribly hard because Belgium is in the Schengen zone, a group of 26 EU states that allows its citizens to travel easily across borders. According to The Guardian, he may have been using a forged passport — or the passport of another European ISIS militant. Despite the gloating about his escape, officials think, according to the Times, that Abaaoud was also probably embarrassed about the fact that the jihadists in Verviers got caught — which is when he might have begun planning the attack in Paris. Last month, France conducted air strikes in Raqqa, Syria — they thought Abaaoud was there. After the strikes ended, many thought he was dead; now authorities think that might have been a ploy to make it easier for him to get back into Europe. No one seems quite certain how he managed to get to Saint-Denis, the Paris suburb where he died this week. His body was so riddled with bullets and damaged by grenade shrapnel after the seven-hour police raid that it took a day for authorities to identify him. Fingerprint analysis was used to confirm that Abaaoud was dead, but that fact opened up a whole series of questions about how he had been able to get to the capital of France undetected. 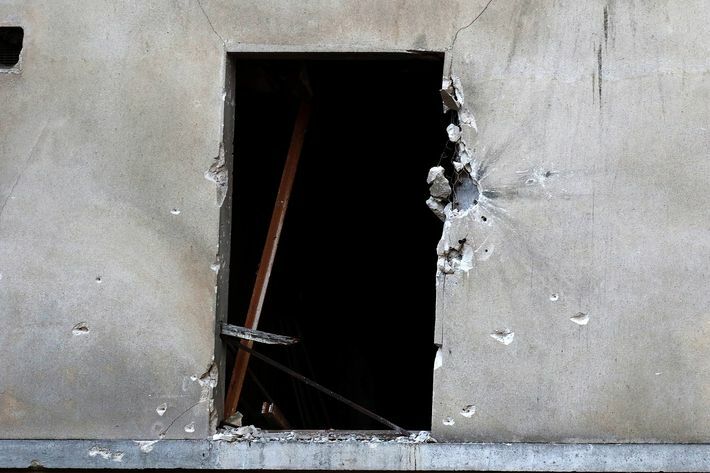 The suspected terrorists in the apartment were reportedly “ready to act” and strike another target. 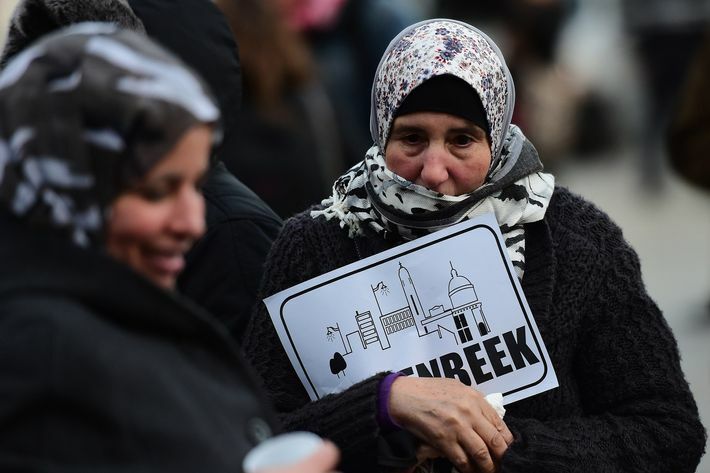 On Monday, France was told by an intelligence agency outside Europe — reportedly from Morocco — that Abaaoud appeared to have been in Greece earlier this year. According to the Financial Times, video surveillance shows that Abaaoud may have been outside a metro station in Paris last week, near where one of the cars carrying shooters had been. “If Abaaoud has been able to travel from Syria to France, it means that there are failings in the whole European system,” French foreign minister Laurent Fabius said on Thursday. Abaaoud’s cousin, Hasna Aitboulahcen, also died in the police raid. It was first reported that she blew herself up with an explosive vest after yelling, “He’s not my boyfriend!” at police officers. However, The Guardian later reported that the Paris prosecutor confirmed that Hasna was not the suicide bomber. According to Reuters, police found the apartment after tapping Hasna’s phone for a drugs investigation. A friend reportedly described her as a hard-drinking “party animal who loved clubbing.” Her social-media profiles feature pouting selfies. She often wore cowboy hats before being radicalized. On Friday, authorities announced that another body had been found in the rubble outside the apartment. It has not yet been identified.